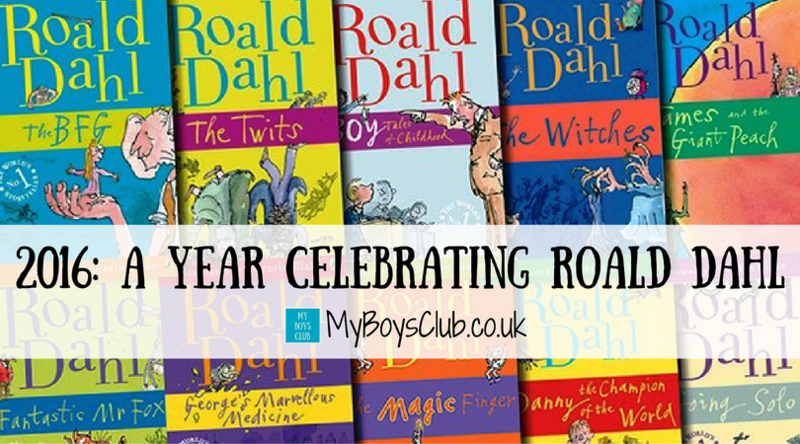 2016 has marked 100 years since the birth of Roald Dahl - the world’s number one storyteller. Throughout 2016, there were celebrations for Roald Dahl 100, focusing on Roald Dahl's ‘gloriumptious’ stories and characters and delivering a year packed with ‘squiffling’ surprises and treats for everyone. 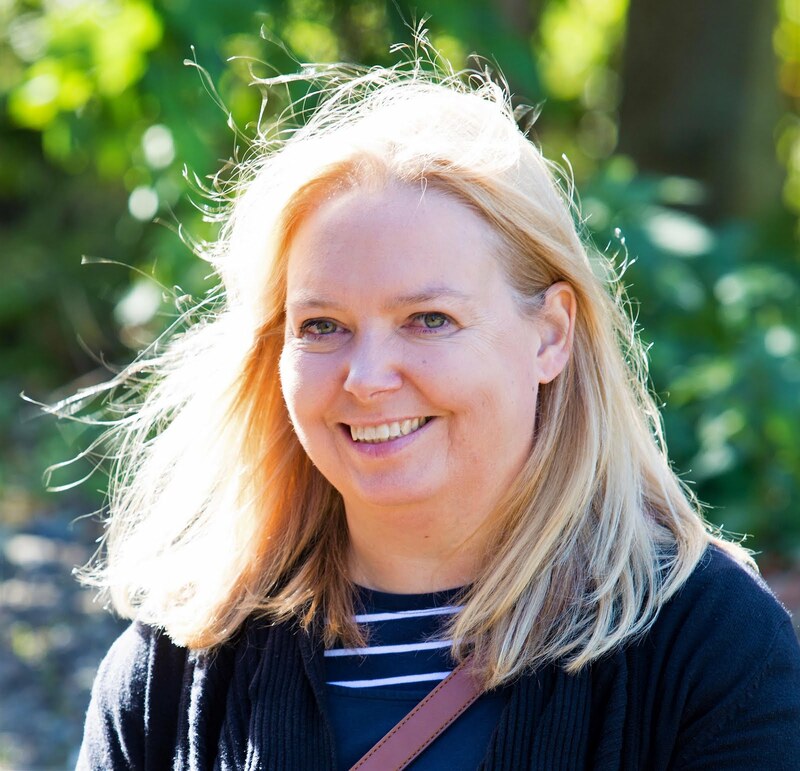 So during 2016 My Boys have been lucky enough to follow The BFG Dream Jar Trail in London; watch THE BFG at the Tyneside Cinema followed up with themed food; see the James and the Giant Peach Live Show at Northern Stage and enjoy Revolting Rhymes on TV this Christmas; as well as continuing to read some of the best books they will ever read. Roald Dahl's short stories are known for their unexpected endings and his children's books for their unsentimental, macabre, often darkly comic mood, featuring villainous adult enemies of the child characters. His books champion the kind-hearted and feature an underlying warm sentiment. Some of his best-known books for children include James and the Giant Peach, Charlie and the Chocolate Factory, Matilda, The Witches, Fantastic Mr Fox, The BFG, The Twits and George's Marvellous Medicine. His stories have gone on to capture the hearts and imaginations of children and adults across the globe, making him the world's number one storyteller. Many of the books have gone on to be adapted into movie blockbusters, plays and musicals. At the start of the summer we took a trip to the Tyneside Cinema to watch the new Steven Speilberg blockbuster ‘The BFG’. A magical adaptation of the book it is definitely a scrumdiddlyumptious feast for the eyes and ears. The film offers magic and visual delights but undoubtedly it is the scene at Buckingham Palace that steals the show. It’s here that the BFG introduces the Queen to the majesty of “whizzpopping”, the bottom-burping “sign of true happiness” brought on by the downward-spiralling bubbles of his favourite fizzy drink, “frobscottle”. I can still hear the raucous laughter that came from two gentlemen sat towards the back of the cinema – they didn’t even have children with them but enjoyed the film as much as anyone else there that day. Their laughs were infectious. 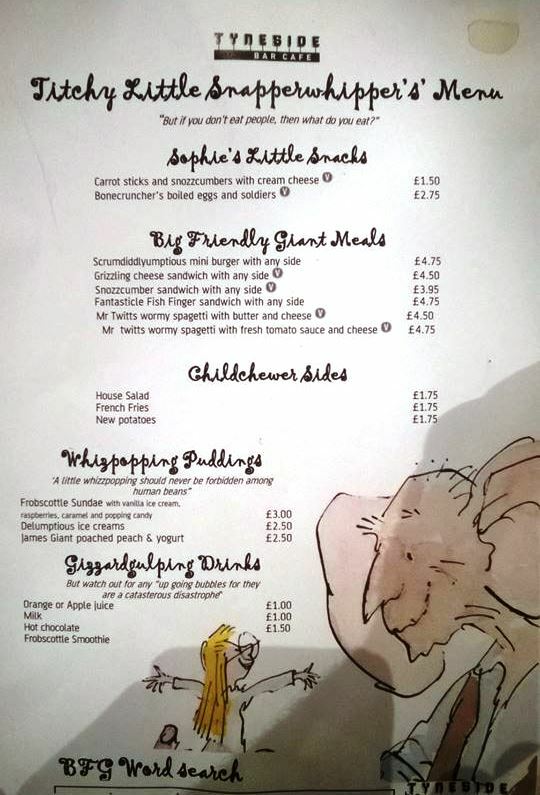 To top it all off we then enjoyed a Big Friendly Giant Meal and Whizpopping Pudding in the Cafe. In summer 2016, the streets of London were transformed with magical giant Dream Jars as part of The BFG Dream Jar Trail celebrating Roald Dahl’s 100th birthday and The BFG movie release. 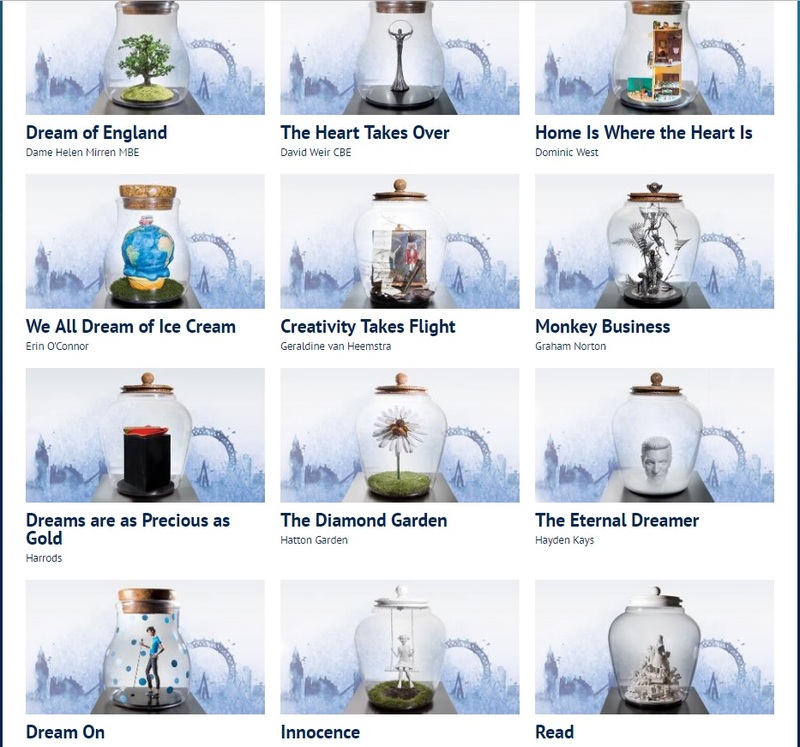 The BFG Dream Jar Trail brought to life the long-held dreams of celebrities and artists with 50 Dream Jars across London and beyond over seven dream-filled weeks. 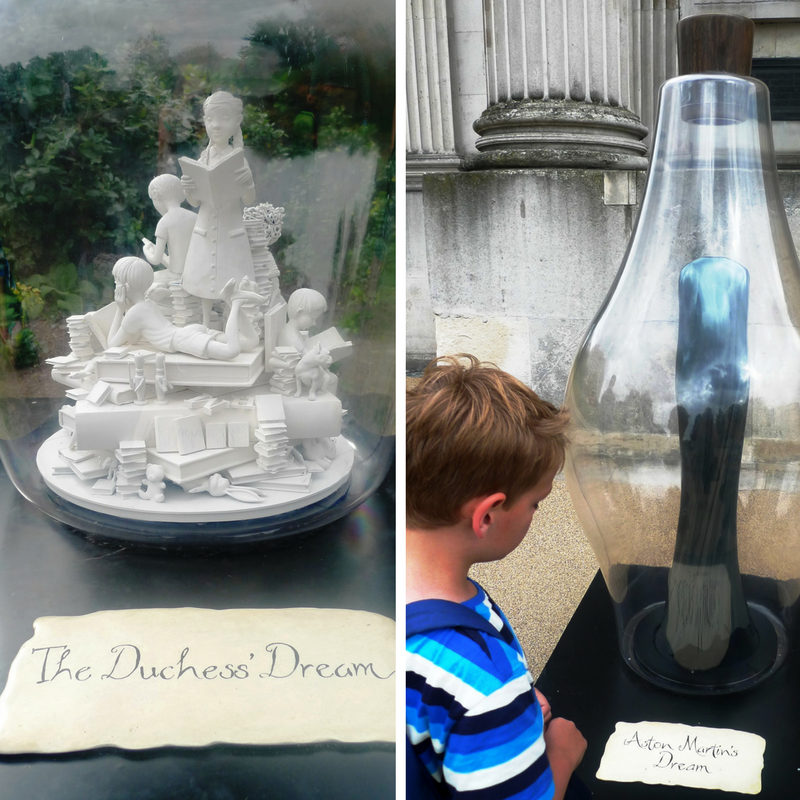 The Dream Jars could be found in iconic spots such as Tower Bridge, Trafalgar Square and Buckingham Palace. In August on our trip to London we managed to see a few including On The Wings Of A Dream By Aston Martin and The Duchess' Dream. When the “wondercrump” trail ended the Dream Jars were auctioned, raising hundreds of thousands of pounds for children’s charities. 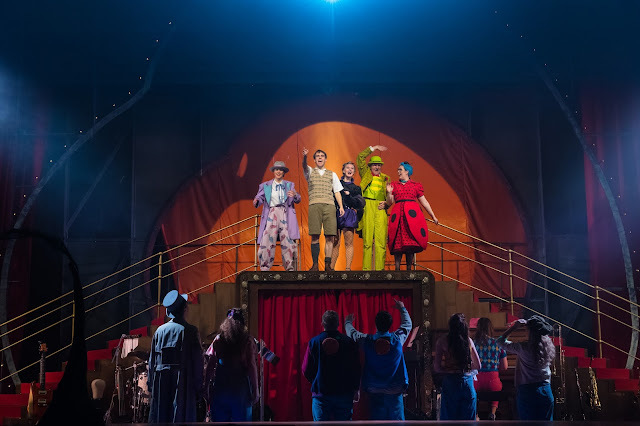 James and the Giant Peach was Roald Dahl’s first classic novel for children. Published in 1961 it tells the story of James Henry Trotter to whom something rather peculiar happens after living with his aunts for three years. When we first meet him, James is a lonely boy living with his two aunts "in a queer ramshackle house on the top of a high hill in the south of England." This is because, right at the beginning of the story, poor James is orphaned when his parents are killed by an angry rhinoceros. His aunts are horrible. They make James do all the cleaning and never let him away from the house to meet other children or make friends. The live show adaptation at Northern Stage is wonderful. 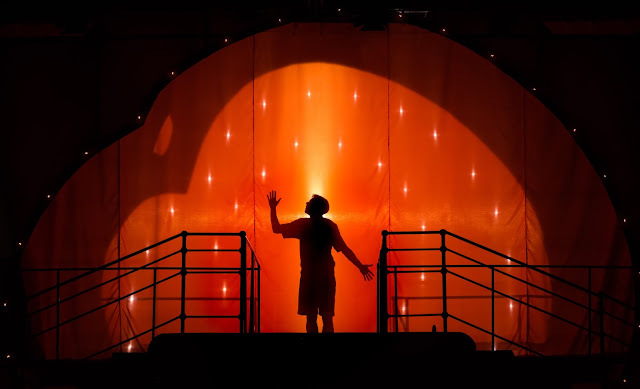 It is so full of energy, songful and has so much interaction with the audience through seagulls, bubbles, sharks, tentacles and beach balls that (especially when sitting in the front row) that you feel as you’ve actually been part of the show, not a passive viewer. Sadly there are very few tickets left for the performance at Northern Stage but if you don’t get the opportunity to see it there is still the very magical book to read. 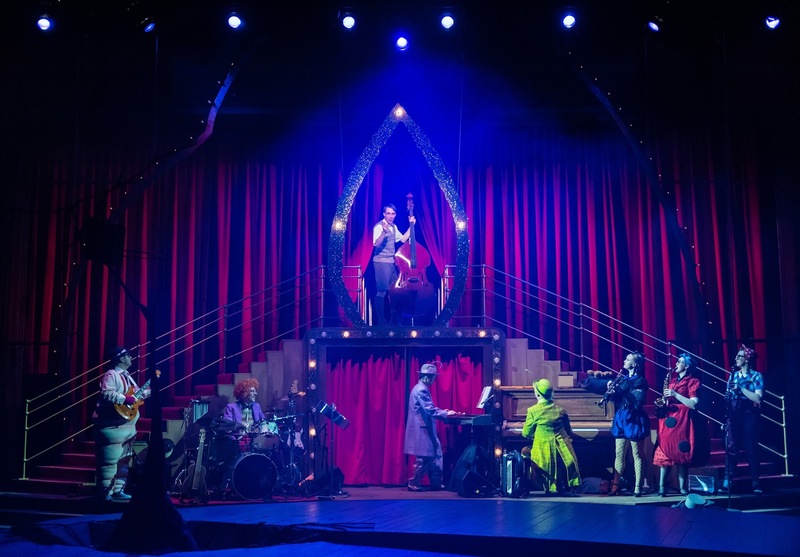 It's at Northern Stage, Newcastle, until 31 December. The Revolting Rhymes book is a favourite in our house, my eldest has also performed in two of the short stories at school so we are well versed in them. 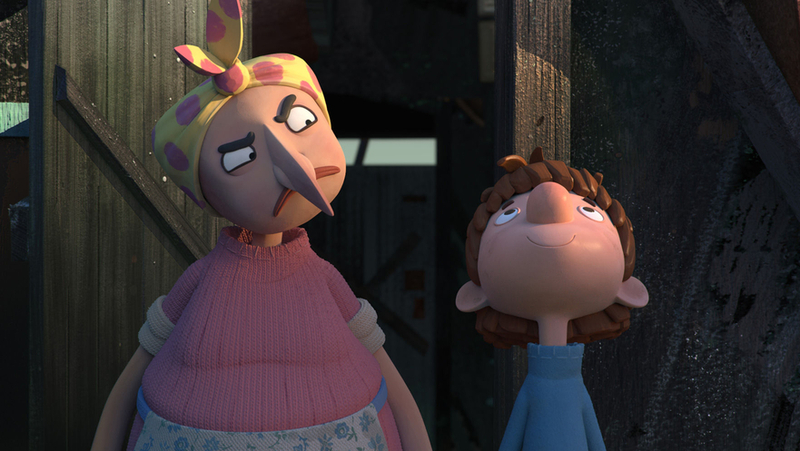 So we were very excited to see that Roald Dahl’s mischievous Revolting Rhymes were to be brought to the screen this Christmas as a festive highlight on BBC One this year. And they certainly didn’t disappoint. Shown as two half-hour animated films, shown early evening on Boxing Day and the following Bank Holiday, rather than go through each story individually as we were expecting, all five rhymes - Little Red Riding Hood, Snow-White, Three Little Pigs, Jack and the Beanstalk and Cinderella - were ingeniously interwoven into one story told by a narrator. If you haven’t seen it watch it on Iplayer now. Although he died in 1974 his books, writing and storytelling thankfully live on and Roald Dahl's stories continue to inspire children and adults around the world. The Roald Dahl website, has amazing resources for kids, parents and teachers – go check it out. Mine is definitely Matilda. I cannot tell you how many times as a little girl as I tried to levitate pencils and things after reading it! What a lovely post, so unusual! 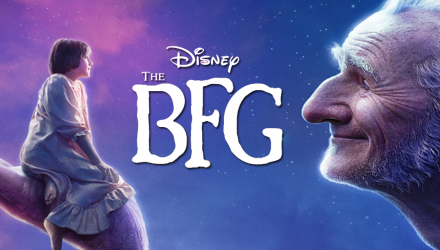 My kids are a little bit young for the books (1 and 3) but we've watched the older version of the BFG and need to see the new one! We saw a few of the dream jars in the summer in London too! Thanks so much for lining up to #ShareYourYear! Fantastic post. I'm especially jealous of you watching the stage show of James and the Giant Peach - that's probably my favourite book. I love all his books. They are such a great read to the kids. thanks for linking up to #KLTR.